With over 3 billion active internet users, nearly 2.1 billion of those people have social media accounts. Whether it’s Facebook, Twitter or Snapchat these accounts are accessed via computers or one of the over 4.5 billion mobile phones that exist worldwide. Many users are doing great things such as starting new businesses, raising awareness for various causes, and sharing their creativity with the world. Technology has allowed for this to happen but with the good comes the bad. While technology has improved our lives in many aspects, it can also have a dark side. Black Mirror is a British television series that was created and written by Charlie Brooker. It explores how the modern world is affected by technology and how it’s often used for nefarious purposes. Black Mirror taps into our collective unease with the modern world and each stand-alone episode is a sharp, suspenseful tale exploring themes of contemporary techno-paranoia. Each episode has a different cast and is set in a different universe. The series has received many awards including an international Emmy Award and a Peabody Award and was also nominated for a BAFTA award. The first 2 seasons aired on Channel 4 and then later on in the US but in September of 2015, Netflix announced it would be offering a third season. 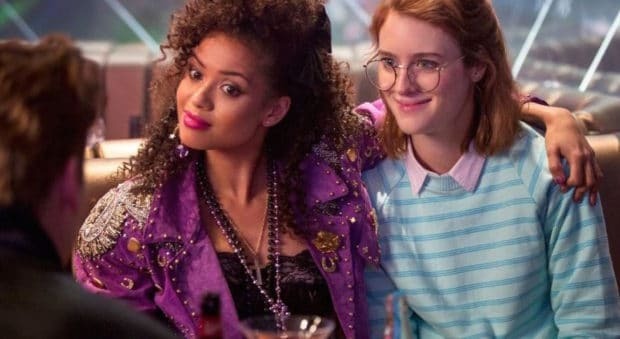 San Junipero – When two tourists arrive in an unfamiliar town they find themselves wondering how well they know themselves, and what they want out of life. Shut Up and Dance – When withdrawn 19-year-old Kenny (Alex Lawther) stumbles headlong into an online trap, he is quickly forced into an uneasy alliance with shifty Hector (Jerome Flynn) – both of them at the mercy of persons unknown. Nosedive – A social satire about identity in the social media age. Men Against Fire – Future soldiers Stripe (Malachi Kirby) and Raiman (Madeline Brewer) must protect frightened villagers from an infestation of vicious feral mutants. Technologically, they have the edge – but will that help them survive? Hated in the Nation – In near-future London, police detective Karin Parke (Kelly McDonald) and her tech-savvy sidekick Blue (Faye Marsay) investigate a string of mysterious deaths with a sinister link to social media.